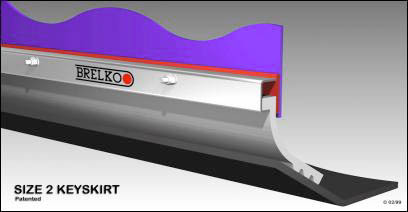 Champion distributes industry leading Brelko belt cleaning products. Featured below are the "E" series Belt Scrapers. Contact us today for orders, quotes and complete product information. 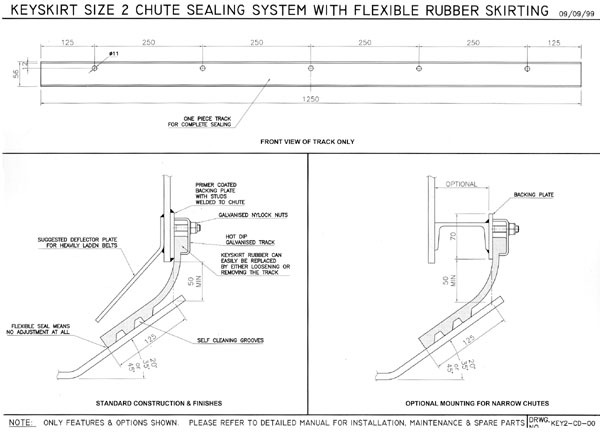 An effective chute sealing system designed to control material spillage at conveyor load areas. Suitable for relatively light belt conveyor systems narrower than 900mm carrying material less than 75mm particle size. Also available in white food grade rubber and stainless steel mounting components. 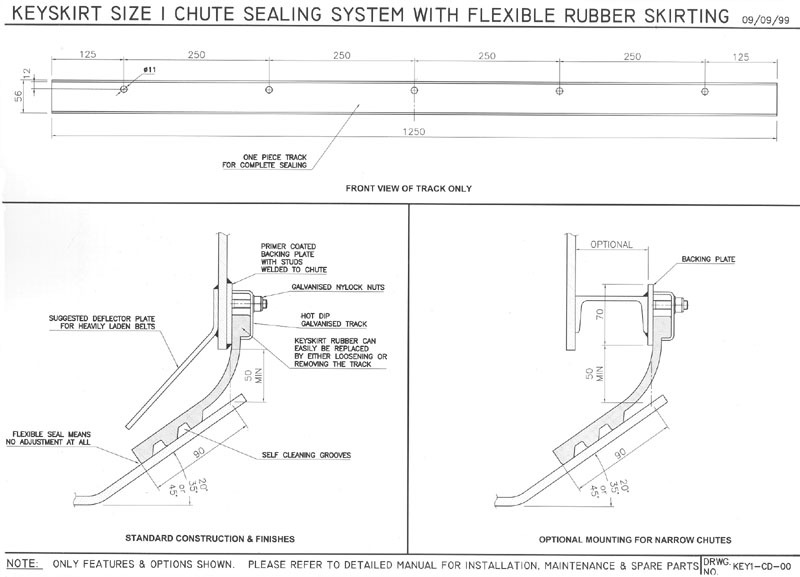 Patented mounting track system results in simple installation and subsequent skirt rubber replacement. Self cleaning grooves trap spillage allowing it to be carried away by the belt. Low contact area reduces wear and friction. Continuous flexible seal accommodates belt movement. Suitable for all belt conveyors from 900mm belt widths upwards carrying material of less than 75mm particle size.